SO HERE'S THE DEAL . . . Thank You Tees was founded by HBCU graduates Stephanie Campbell and Veronica N. Chapman to provide people the opportunity to both learn about and express gratitude for the countless contributions of Black Americans. While all Americans benefit from the ingenuity of Black inventors, entrepreneurs, scientists, artists, educators, and community activists, many of their contributions aren’t recognized in history books or celebrated as part of the American tapestry. Our mission is to bring awareness to (primarily) hidden figures by building an army of Thank You Tee envoys who want to look good while helping to educate the world about this unsung American history. Stephanie is a master facilitator, educator and entrepreneur. She is deeply committed to using her talents and gifts in communities of color by fostering multiracial relationships and dismantling structural racism through racial equity workshops. Stephanie’s work is influenced by the words of Shirley Chisholm “You don't make progress by standing on the sidelines, whimpering and complaining. You make progress by implementing ideas." Thank You Tees is a venture that integrates all of Stephanie’s passions: education, racial equity and activism. Veronica N. Chapman is a serial entrepreneur, playwright, and author, having written and produced Ancestors Inc., a motivational play for teens, and published two books, The Advent of Planet Martyr: An Innovative Social Commentary, and children's book, I Know I Can!. A graduate of Spelman College (B.A. in Spanish) and Babson College (M.B.A.), she is committed to using her gifts to act upon her ideas and improve the world. 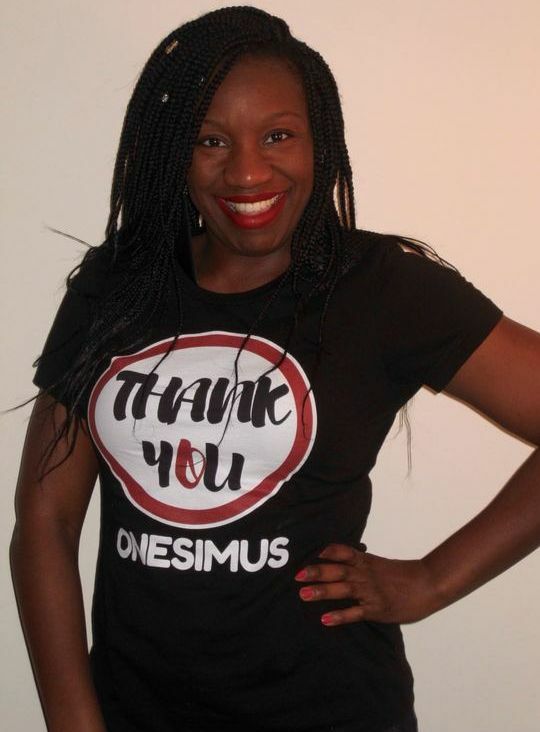 Each of her endeavors, Boxxout Enterprises, Potlucks for Progress, My Crowning Jewel, BlackBabyBooks.com, and Thank You Tees are in line with this commitment.